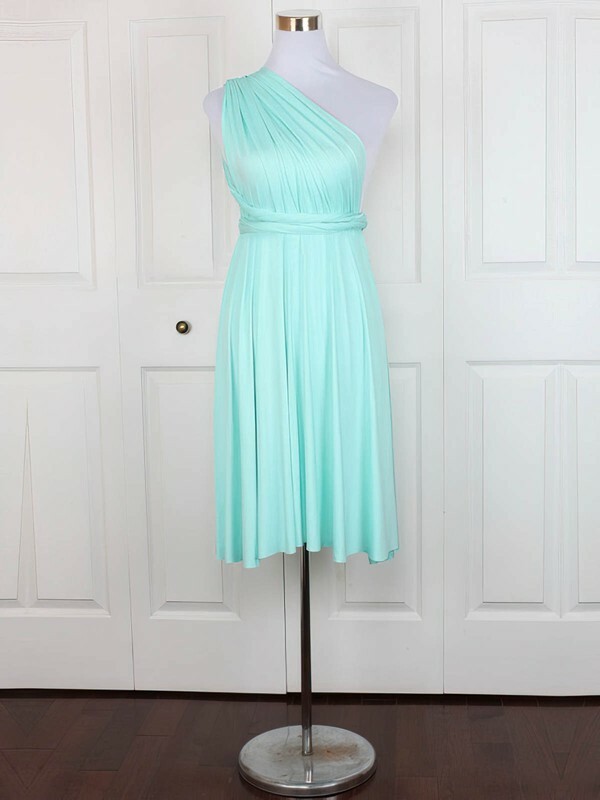 I ordered three dresses for my junior bridesmaids from MillyBridal and had them made to match. I based the sizes on the size chart and all three were perfect! I couldn't be happier - they are beautiful and just as I imagined. They also arrived much faster than I anticipated which was an added bonus! I ordered four dresses for my bridesmaids, and they all came out beautifully! Aside from one that came WAY too big, all of them will just need minor alterations to make them fit perfectly. Thank you! I am in love with this dress! This is one of my bridesmaids! She loves this dress and so do I! The color is perfect, the fabric is thick, and layered it looks and fees well made! I ordered 10 dresses and they all came at one time, it took about a month and a half which is not bad at all! I am very satisfied! The dress arrived in about three weeks.I ordered a standard size because my measurements were close to the standard size. The dress fit perfectly. It's beautiful and well made. If I need another dress, Uk.millybridal.org is where I will get. I love this dress, look so beautiful with it. Stunning colour and style, beautifully made, high quality fabric. Their service is so nice! I was able to track the shipping all the way to my door in western UK. I ordered the dress for size 10 and can't wait to wear it to our teacher's wedding! It is really well made and the dress has good color and nice length. The size is OK and is suit for me! Really impressed with it!